The Sculpted Tree Ant (Cataulacus ebrardi) is commonly found in the Old World tropics, living in the canopy of trees. They nest in twig cavities and use their heavily armored heads to block the nest entrance holes. These ants exhibit directed gliding behavior: if falling from the tree they can orient themselves back to the trunk instead of getting lost on the ground. 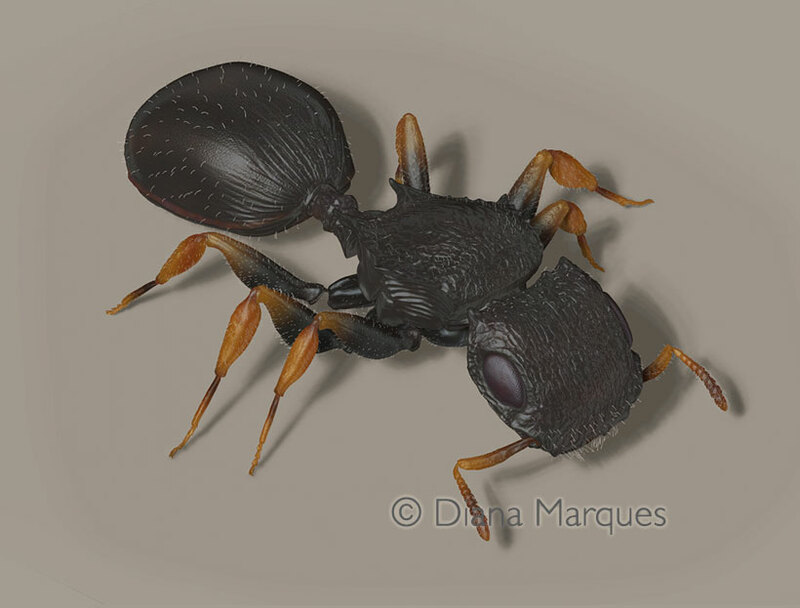 This 3D model was created as a visual description of this particular ant species studied by a myrmecologist at the North Carolina State University. She uses the interactive model online as a reference to her work, and in conference presentations.